We reviewed this a couple of weeks ago, using a faulty CD that skipped a couple of tracks. Now equipped with a fully working download, we’re going to plug them again, as they’re very good. Think Arctic Monkeys with a slick polish and sparkle (which you could read as “Arctic Monkeys having lost their edge” of course). They’re a bit like Hard-Fi, too. 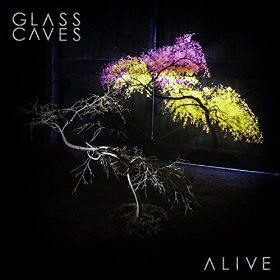 Glass Caves have a good reputation for their live gigs in the north — they’re from Leeds — and we can see why. Their tunes crackle with energy — fast, melodic, lots of guitar, teasings of shredding and DnB drumbeats to give it all pace. After not listening for a week or two, Go leapt out of the speakers like an old friend, albeit the kind who punches you hard on the shoulder and runs round a lot, talking. Driving Home is more Glass Caves’ own sound, tight, and packed with harmony and a big chorus. If you want a downside, it’s pretty formulaic and they stick to the same sound — indeed, sometimes we think we’ve played the same song twice — but the energy of enthusiasm more than makes up for that. It’s enjoyable, which is what it’s all about. It would be a good one for playing before you go out, or, in our case, for jumping round the kitchen while cooking.